Many Legend of Zelda fans out there have been waiting in anticipation for news on the next (new, not remake) Zelda title on Wii U. Would it be a remake of Majora’s Mask, or possibly a darker themed sequel like Twilight Princess? 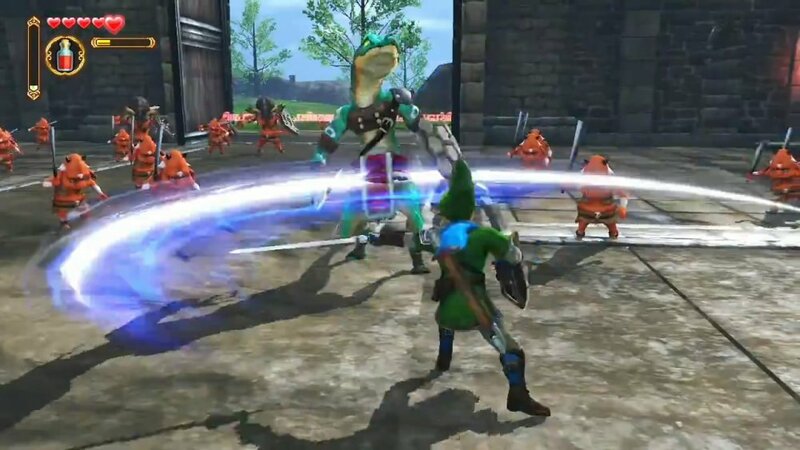 From what we were shown from today’s Nintendo Direct, I don’t believe anyone had expected this: a combination of both Legend of Zelda and Dynasty Warrior all in one. A few familiar enemies featured from both the Skyward Sword and Ocarina of Time eras possibly point this game to occur after the events of Skyward Sword, with the establishment of Hyrule, but this is just speculation on my part. Even Link looks like he could’ve been a double for Legolas in The Desolation of Smaug, with his armored shoulder-pads, lengthy blue scarf, and new green get-up. 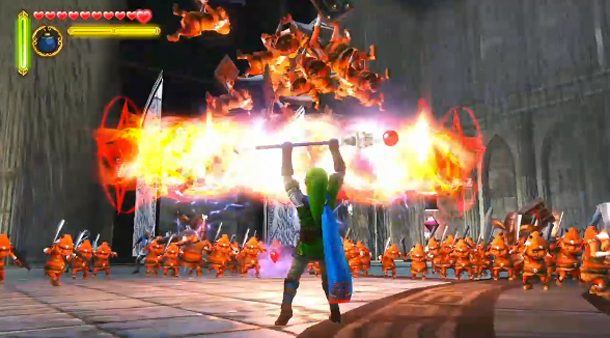 Multiple combat items and weapons are also present, such as bombs, fire rod, and, of course, his sword. It doesn’t appear to be the Master Sword, but it seems to utilize magic similar to the “Skyward Strike” mechanic in Skyward Sword. As of now, there is too little information to say if this will be a co-op game or not. However, if the Dynasty Warriors franchise has taught us anything at all, it’s that decent co-op elements are involved in many of its titles; we refer anyone to the latest in the series, Dynasty Warriors 8, released this past July. We’ll have to wait for more information before setting our sights on future coverage. Page created in 0.8108 seconds.